The information and broadcast ministry had recently proposed to extend rules and regulations meant for the broadcast media to online media as well by setting up a committee largely made up of government officials. 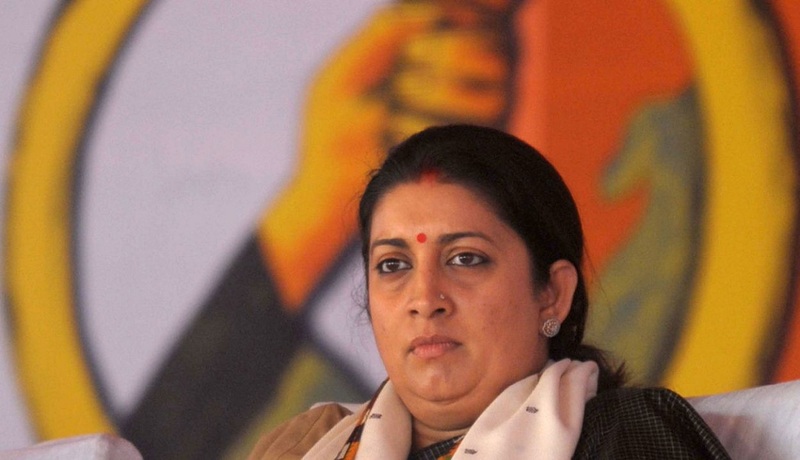 New Delhi: Over a hundred journalists and professionals in the online media wrote to Information and Broadcasting minister Smriti Irani today, expressing concern over the ministry’s proposal to extend rules and regulations meant for the broadcast media to online media as well. The signatories included both veterans in the industry as well as new age media entrepreneurs. In April, the Modi government constituted a committee to frame rules to regulate news portals and media websites. The committee was to comprise secretaries of the ministries of information and broadcasting, electronics and information technology, home affairs, legal affairs and the department of industrial policy and promotion as members, but had no representatives from the digital media space. The letter expresses concerns that bringing legacy media structures such as licensing and content regulation could have a drastic impact on a medium that is widely credited with making the media and information landscape more open and democratic across the world. “Internet based media, by its very nature, promotes broader democratic values globally and cannot be dealt with in the way national governments try to regulate or control traditional media,” said M.K. Venu, founding editor at The Wire. “Internet based media and global media aggregators like Facebook, Google have changed the content and distribution landscape in ways that national governments cannot easily control. Nor should they try to. It is a free democratic space and must remain as such,” he added. We are a group of Indian citizens who depend on the Internet to gather and share information on a daily basis. We have come to know that this ministry has issued an order dated Apr 4, 2018 seeking to establish content regulations for the Internet modelled on those applicable for traditional media like print and TV. This letter is to place on record our feedback on the said order. 4. The guidelines shall be sourced primarily from two sources: The Programming & Advertising Code for TV channels put in place by the government, and the norms circulated by traditional media organizations such as Press Council of India, News Broadcasters’ Association and Indian Broadcasting Foundation for their members. As people engaged constantly in the dissemination of news and views on the Internet, we would like to record our response on each of the four points. 1. On point 1, we deny the assertion there are no norms and guidelines for content on the Internet. Even a cursory reading of the IT Act would reveal that all content is covered under its scope. The Act in fact goes beyond laying down guidelines, and incorporates stiff punishments for those who violate the content norms laid down in it. Similarly, several other laws, such as the Indian Penal Code, also contain clear dos and don’ts for sharing of content, including over the Internet. Therefore, to say that there are no norms and guidelines for content online is contrary to facts. 2. Given that the first premise – that there exists no norms for online content – is incorrect, this statement becomes logically unmaintainable as it relies on the first statement for its validity. 3. Next, the ministry says that online content “needs to be brought under regulation on the lines applicable to print and electronic media.” Our position is that online content is different from print and television content, because most of it is produced by individual citizens in exercise of their constitutional right to freedom of expression, and embodies two way communication and interactivity, and not just publishing. Online, it is also difficult to distinguish between publishing and communications. Much of online content is borne out of an individual’s need to express opinions and exercise artistic freedom, protected by Article 19 of the Indian Constitution. It is also worth noting that, according to the Indian Constitution, an individual has the same right to free speech and expression whether by word of mouth, writing, printing, pictures or any other mode. Therefore, restrictions that do not apply to offline speech cannot be used to control online speech either. On the other hand, provisions that apply to offline behaviour – such as the IPC – are equally applicable, and regularly applied, to online content. 4. The objections to this proposal have already been recorded under point 3. 2. open up the possibility of widespread abuse and attempts to suppress political dissent by the government and/or the regulating agency. We request you to consider these responses, and call upon the government to withdraw its plans to create additional rules for regulation of online content.